There are multiple reasons that you need to enter Safe Mode to troubleshoot your Windows issues, such as deleting obstinate files, removing rogue security software, killing viruses, etc. Safe mode is a diagnostic mode for Windows system that starts your computer in a limited state. Only the basic files and drivers necessary to run Windows are started. You can perform the steps below to enter Safe mode in different version of Windows system, including Windows 10, Windows 8.1, Windows 8, Windows 7, Windows Vista, and Windows XP. Step 1. Click the Start button, and then select Settings. Step 2. Choose Update & security > Recovery. Step 3. Choose Restart now under Advanced startup. Step 4. 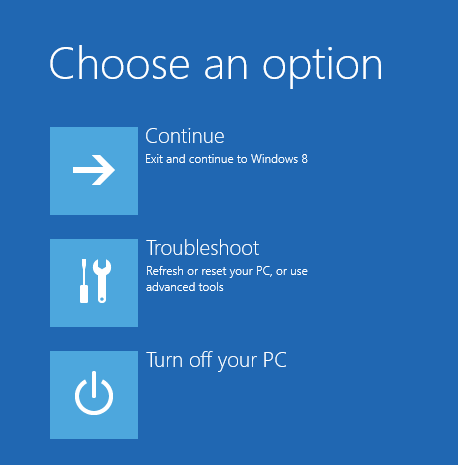 After your computer restarts to the Choose an option screen, select Troubleshoot > Advanced options > Startup Settings > Restart. Step 5. After your computer restarts, you’ll see a list of options. Choose 4 or F4 to start your PC in Safe Mode. Or if you’ll need to use the Internet, select 5 or F5 for Safe Mode with Networking. Step 1. Reboot your PC. When you get to the sign-in screen, hold the Shift key down while you select Power > Restart. Step 2. 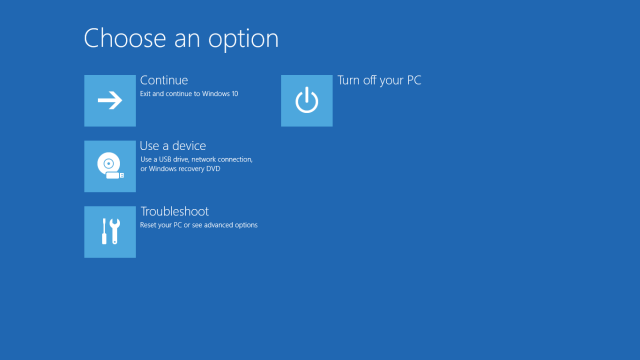 After your PC restarts to the Choose an option screen, select Troubleshoot > Advanced options > Startup Settings >Restart. Step 3. After your PC restarts, you’ll see a list of options. Select 4 or F4 to start your PC in Safe Mode. Or if you’ll need to use the Internet, select 5 or F5 for Safe Mode with Networking. Step 1. From the Windows Start screen, type Advanced startup and when the search results appear, click on the Settingscategory and then click on the Advanced startup options search option. Step 2.When the Settings screen opens, scroll down and click on the Restart now button under the Advanced Startup category and your computer will restart. Step 3.When the Advance startup menu appears, click on the Troubleshoot option. Step 4.Then click on the Advanced Options button. Step 5.Finally click on the Startup Settings option and then click on the Restart button. Your computer will now restart again. Step 6.When you get to the Startup Settings screen, press the number for the Safe Mode option you wish to use. To enter safe mode in Windows 7 or below Windows 7 version, you could use F8 method. Step 2. When the computer starts, you will see your computer’s hardware being listed. When you see this information, start to gently tap the F8 key on your keyboard repeatedly until you are presented with the Windows 7 Advanced Boot Options screen. Refer to the image below. Step 3. Using the arrow keys, select the Safe Mode option you want. Step 4. Then press the Enter key on your keyboard to boot into Windows 7 Safe Mode. Step 5. When Windows starts, you will be at a typical logon screen. Logon to your computer and Windows 7 will enter Safe Mode. Step 6. Do whatever tasks you require, and when you are done, restart to go back into normal mode. 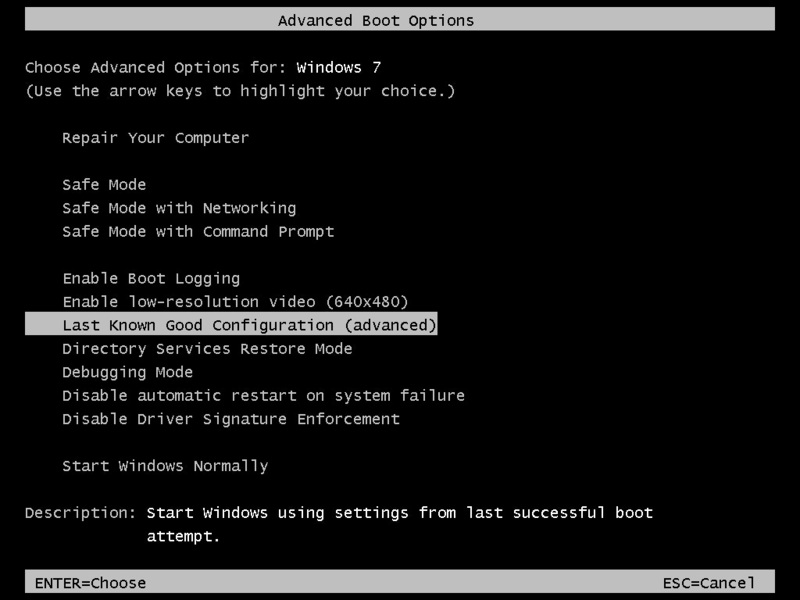 Alternatively, you could try below steps to enter Safe Mode in Windows 7 or below version. Step 1. Click Start button, type msconfig, and launch the resulting program. Step 2. Click the Boot tab. Step 3. Check the Safe boot option. Step 4. Select an option below that. Safe boot brings you to the standard Safe Mode. With networking does exactly what you think it does. Step 5. Click OK, and then Restart. I have a Lenovo Yoga 2.11, 11.6 inch screen, bought brand new in April 2016 that came with Windows 10 installed. I am now overseas and just last night my computer started to experience this black screen of death. At first, it ran disc repair, which finished. Now, when I power the computer up, it doesn’t go to login screen, just black screen with cursor. I had a Logitech wireless mouse adapter plugged into USB, I unplugged it, restarted computer and it worked. Well, I decided to restart the computer and it went back to black screen with cursor, no login screen. What else can I do to fix this issue? Hi, it seems that your wireless driver is not compatible with your system. You may need to uninstall the wireless driver and install official driver for it. I’m having a black screen issue, I don’t make it to the start up screen before it goes black. is there any other way? Hi. You can refer to this article to solve the problem: . Turn laptop on, eventually get prompted to enter password. I do this and the screen has a small sphere slowly turning then the screen goes blank.There is no opportunity to do anything else before the blank screen appears until the sihost.exe appears with unknown hard error. Hi, Bob. You can hold the power button for a while to shut down and then turn it on again. Repeat this process several time until you see the Recovery screen. Then you can enter the Safe Mode by following the on-screen instructions. nice piece of work. very helpful post. I m pleased after reading it. Safe Mode Is A Part Of Microsoft Feature Called Advanced Startup Options. Safe Mode Helps To Boot Windows Computer With Limited Resources And Drivers. Safe Mode With Networking Will Allow Your Computer To Get Internet Connectivity While Your Computer Is In Safe Mode. Thanks for the comment. Glad it is helpful to you! It’s uncommon to see a nice blog like this one nowadays. all of a sudden keyboard and mouse both quite. Have monitor. Reboot works great on home screen cannot use keyboard or mouse to enter safe mood, any advice. never had this prob before. No light on Mouse.